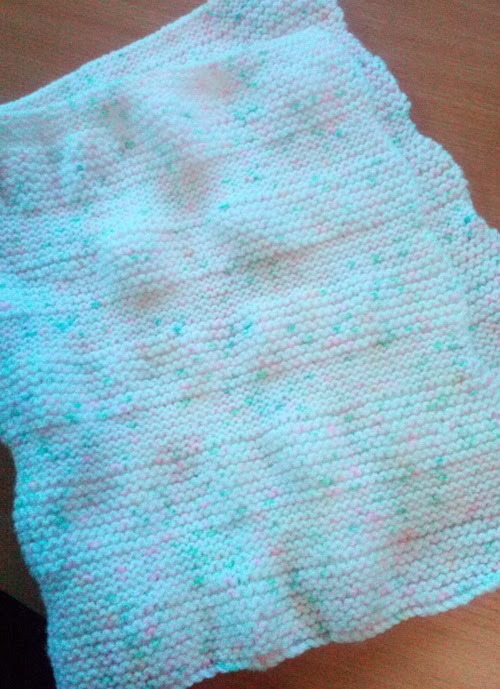 Similar to my earlier post on 'Fish and chip jumpers', there followed a request for comfort blankets for newborn babies in this country. 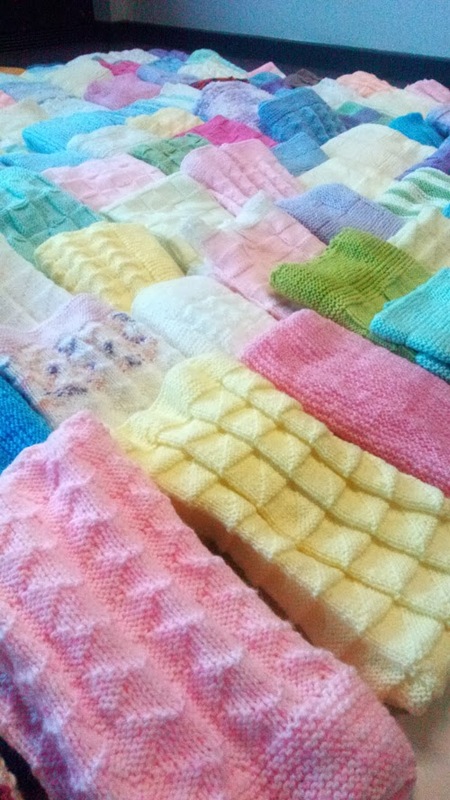 Again, our knitting group set-to, as did friends, family and work colleagues nationally. 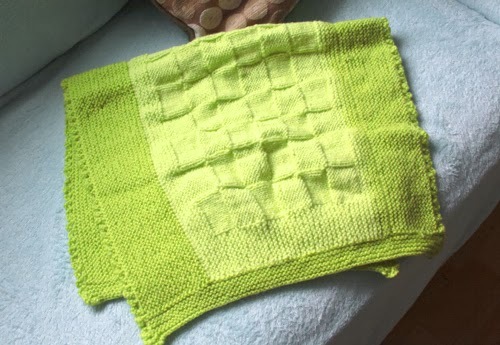 As I have mentioned before, I am not really a knitter but have been learning over the last few years and have grown in confidence regarding what I can and cannot tackle. 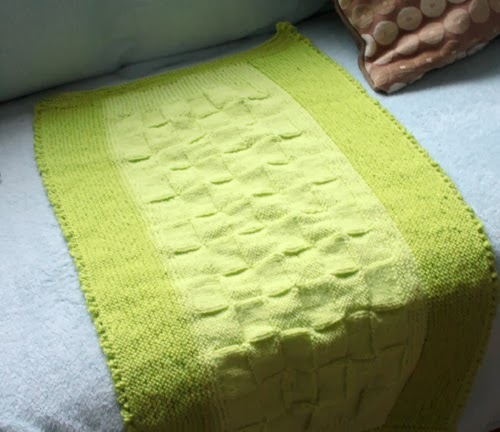 Most of the patterns supplied in the request were achievable and I chose a chequered basket weave style (onto which I crocheted a picot edge) and another that had a raised stripe and wavy edge. 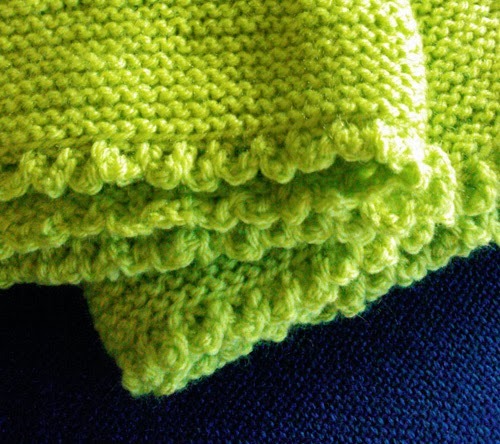 They took me a long time and I must admit that a fair amount of frogging went on before I ended up with the two blankets that were eventually my contribution. Other knitters I know can talk, eat, watch the telly, use the phone and keep an eye on their kids, all at the same time as reading a pattern and knitting. I can't!! - it takes my full and undivided concentration. 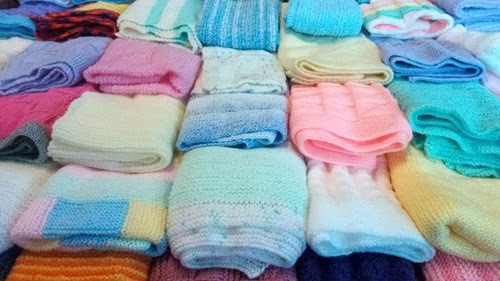 Then the blankets started appearing through the post from all over the country (the collection of which was again organised by Kim) and what a fabulous array of colours they were - more than 100 of them! It took us quite a while to fold and arrange them so that they could be photographed but they looked amazing when it was done! The amount of work that people put into these items is astonishing. 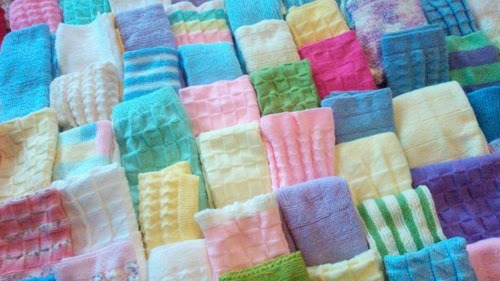 The receipt of each and every one is acknowledged, the response to that usually being that the knitters want to know how they can help with the next items that may be needed! Such kindness and generosity is very much appreciated. 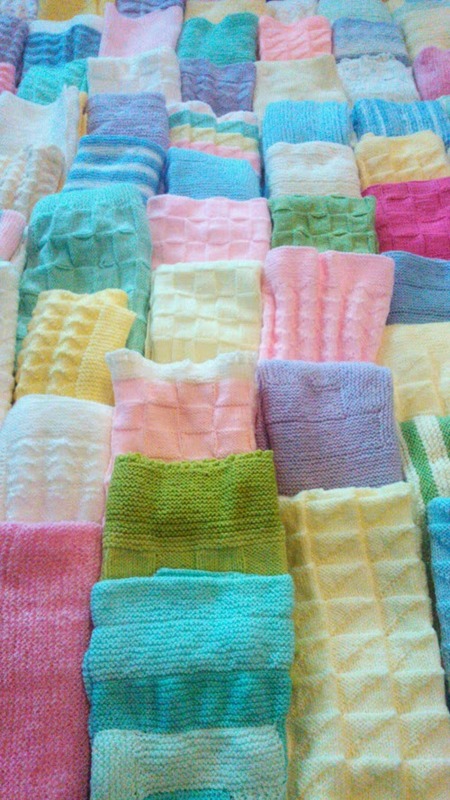 The jumpers went off to their new homes in November but it is likely that half of them went to help those is need after the disaster in the Phillipines too. So, for the moment, we have returned to the Fish and Chip jumpers, this time with longer sleeves and matching beanie hats. The completion date for this batch is the end of March and I will update my blog with the details of how we get on! How wonderful to have managed to get so many - it's lovely to see them all en masse and to know what good use they will be put to. 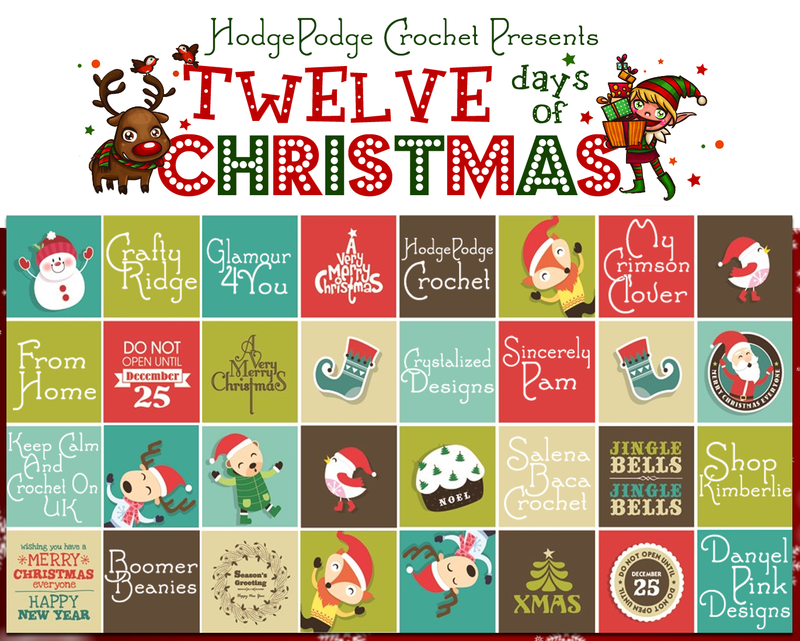 Thanks for your comment on mine - what a good way of learning to crochet! 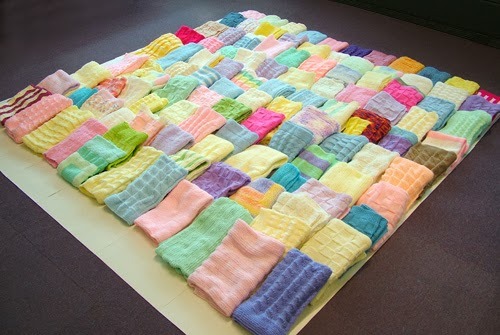 They look great - like a big snuggly patchwork blanket! Hi Jen! I did think of sitting in the middle them to eat my lunch but would probably have nodded off. Not a good idea in work!